Comments: A half-folio view of Mount Tabor, near Nazareth, showing a caravan of pilgrims. Price: $150 uncolored, $200 colored. 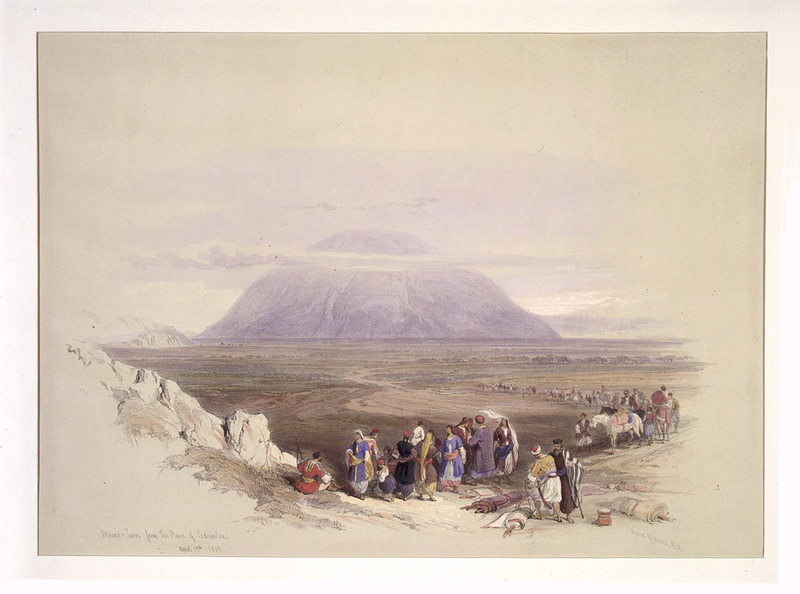 Title: Mount Tabor, from the Plain of Esdrael.